Happy New Year! Lady Million Lucky launched last year and is definitely one of my favourite fragrances from 2018. Although I love the original, sometimes I do feel that the original Lady Million's a bit too obvious now so I like how Paco Rabanne are still launching more sister scents, and I hope there's another upcoming one this year. It reminds me very much of one of the perfumes I purchased in Dubai (which was over 3 times the price! ), so that's pretty positive in my opinion! Let's take a look at the fragrance notes. As an Arsenal fan, I was thrilled when I spotted an invitation to the launch of Unity- a wellbeing brand by Mesut Ozil and Mathieu Flamini. I wasn't sure of what to expect as the invitation was brief and didn't explain what the product line would consist of. Like others at the launch event, I honestly thought it would be a range of sports or health drinks (it wasn't!). I actually even got to see Ozil and Flamini in the flesh which was an absolutely amazing experience. 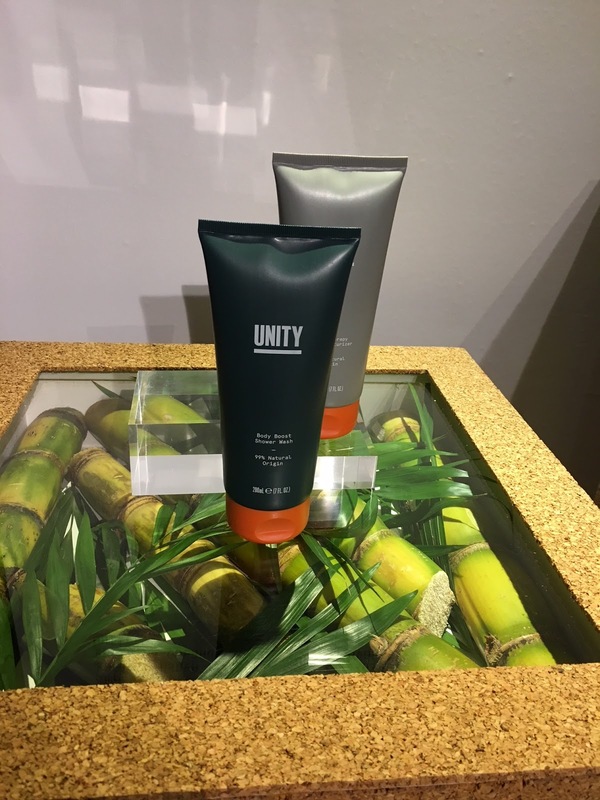 'For people and planet', Unity is a collection of skincare/grooming products, ranging from hydrating lotions to body washes and beard oils. The majority of the range is meant to be unisex but there are obviously products aimed at the male market like the beard oil. I also had the opportunity to learn about Ozil and Flamini's reasons behind creating the brand. As an environmentalist, Flamini is very passionate about raising awareness and possible solutions to the problem of climate change. 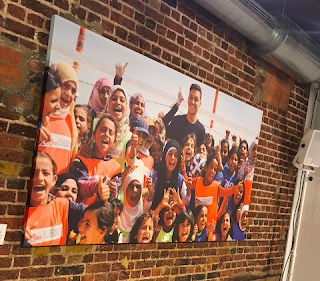 Whereas, Ozil's reasons for having co-founded the brand sits in the desire of being a voice for others in times of diversity and discrimination whilst also wanting to provide a healthier future for the the next generation. Overall, both of them come across to me as very nice, and incredibly ambitious people who really want to bring about positive change in the world- something we can never get enough of. As a skincare and fragrance enthusiast, it was only natural for me to pop open the lids and check out the scent of some of the products at the launch. I was actually expecting them to be non-scented (not sure why), so to my surprise- I actually widened my eyes upon smelling the fragrance of the products. The scent is incredibly fresh and invigorating without smelling artificial, and this is because Unity refuses to include any parabens or artificial fragrances in their products, as well as mineral oils or plastic microbeads. All product ingredients are 100% natural, and sustainably sourced too. The product is just as beautiful on the outside as it is on the inside (and I'm not just talking about the simple yet clean/sleek design). I was very impressed when the PR told me about the packaging for the range. Get this: the product containers are made from sugar cane. You read that right. Sugar cane is a recyclable bioplastic that help to reduce C02 emissions (normal plastic increases them). But, the bottle tops are made from plastic but this is because there is no suitable alternative at the moment. Unity will change this if an alternative is found though. Why is climate change important to address? As a PhD student, I'm constantly reading and learning new things but at the launch, I learnt so much about climate change and the importance of reducing plastic that I kept thinking about it as I travelled home in the evening. - Climate change displaces up to 10x more people than conflict and war. By 2050, climate change will have displaced 250 million people, impacting the world's poorest populations. - We cannot lift people out of poverty if we do not conserve the environment and the natural resources they rely on, and we can't protect the environment if we do not address their needs. It's so lovely to see footballers giving back, and to address the detrimental effects of plastic waste (which has amplified in the past couple of years) is- in my opinion- an excellent choice to make. Especially as it's evident that Ozil and Flamini are extremely passionate about it. I also was told that Ozil has visited refugee camps. I've always had respect for him as a footballer but now I love him even more, particularly as he's supporting a global cause that I'm also passionate about. Both Ozil and Flamini have brilliant outreach opportunities, and for them to use it in this way is quite frankly, beautiful. I really believe their brand will be a huge success whilst also bringing about positive, global change. I'm incredibly diligent with my skincare routine, and have been ever since I was 21. I've recently been using SK:N's Age-Delaying Cream for Younger Skin, and I very quickly became a fan of it. I admire SK:N as a brand- I attended a roundtable conference of theirs last year and was slightly taken aback as to how the company seemed to genuinely care for its patients and was so passionate about the future of the beauty/aesthetics industry. To me, this is pretty rare. When I reviewed Morgan Taylor's Royal Temptations collection, I mentioned that my nails weren't in the best condition. So recently, I've been using Dadi'Oil- a very popular nail and skin treatment- to help with the dryness and help my nails recover from their brittle state. Last week, I reviewed Paco Rabanne's 1 Million Privé, and I mentioned how I thought of it as far more superior than the original 1 Million scent. Well, that's also the case for Lady Million Privé. Isn't it such a gorgeous bottle?! Here is Morgan Taylor's Royal Temptations collection, and it's got me rather excited as it's full of gorgeous pastel colours. You can never go wrong with pastels when the sun's shining. It's very difficult for me to pick a favourite fragrance brand (primarily due to the fact that I own so many fragrances) so I'd have to pick a handful. It's safe to say that Giorgio Armani is most definitely one of them, amongst others including Viktor & Rolf and Tom Ford. I love Elizabeth Arden's Eight Hour range; I apply the Skin Protectant on my lips every night without fail, and due to its versatility, I use it on cuts, dry and sunburnt areas, and burns. So obviously, I had high decent expectations of their Miracle Hydrating Mist. My favourite nail brand, Morgan Taylor have recently launched a new collection of holographic polishes called the 'Platinum collection', and oh my goodness- they are stunning! One Million has been an iconic fragrance for years, and there's not one guy I know who isn't a fan. I first discovered it fragrance when I was 16 and Paco Rabanne were pushing for sales in Debenhams. Although it was a men's fragrance, I loved it and recommended it to all of my male friends who then went on to try it out for themselves. 1 Million Prive is an interpretation of the popular fragrance, and I usually find that follow-up fragrances are never as good as the originals but this one definitely is. Paco Rabanne really know how to create a fragrance!